I've been thinking about the Goldman Sachs $550 million settlement with the SEC and trying to really figure out what happened. Clearly Mary Schapiro and Robert Khuzami wanted a big win on this one, which is why the agency went out of its way to describe it as the largest settlement ever. While $550 million does seem massive, it isn't the biggest in inflation-adjusted terms-that prize goes to Michael Milken. And yes, while the $550 million represents a mere fortnight's worth of profits for Goldman, the stock has been shellacked since the original charges, erasing nearly $15 billion in market cap. Maybe CEO Lloyd Blankfein traded his job for a settlement, or maybe it was a plain old business decision: the firm didn't want to be involved in a protracted and damaging trial that would continue to erode its reputation. The firm didn't admit or deny the allegations, but it did acknowledge that its marketing materials for the deal in question should have provided more disclosure. To review, the SEC charged Goldman with violating SEC Rule 10(b). To establish a violation, the SEC had to demonstrate material misrepresentation or omission in connection with a purchase or sale of a security. Materiality is tricky-for information to be viewed as material, there must be a substantial likelihood that the disclosure of the omitted fact would have been viewed by the reasonable investor as having significantly altered the total mix of information made available. 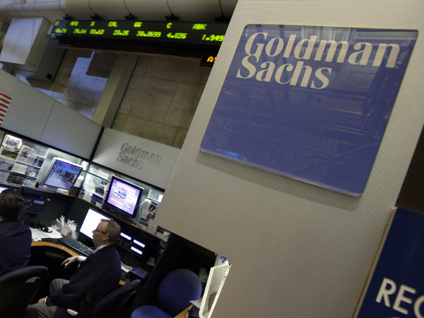 The SEC alleged that Goldman helped structure an investment that was designed to fail and sold the flawed investment to its clients, who ultimately lost hundreds of millions of dollars; Goldman knew it couldn't sell the deal without a seemingly objective portfolio agent; and Goldman didn't disclose to its clients that hedge fund manager John Paulson had a short interest or that he participated in the portfolio selection process. From the beginning, Goldman maintained that all purchasers were sophisticated and knew something that every player in these complex markets had to know: there's always a large short on the other side of the deal. Synthetic CDOs can't exist unless a seller goes short precisely the amount a purchaser goes long. The buyers therefore had to know that there was a short in the market. Goldman argued that way back in 2007, Paulson wasn't even viewed as a particularly knowledgeable participant (that was before his big shorts paid off big time) and therefore his connection to the deal would have been particularly irrelevant. Interesting that in retrospect, it probably wouldn't have swayed anyone to have the Paulson connection disclosed. In fact, if all facts were properly disclosed, investors would have known that Goldman was long, Paulson was short, and that Paulson had participated in the portfolio selection process. (Goldman may have been short elsewhere, but in this deal, they were long.) Considering that at the time, Goldman had more gravitas than Paulson, perhaps the immateriality defense could have held up in court. That said, the SEC had lots of evidence, including incendiary e-mails and testimony that Fabrice Tourre had told buyers that Paulson was long, when he was in fact short; and that Paulson had participated in creating the product he was shorting. Still, the road to prove the case for each side would have been fraught. Goldman determined that even if it could win in the court of law, it couldn't in the court of public opinion and the SEC couldn't risk losing to Goldman, which would have made the organization look foolish and impotent. Some may view this as the perfect settlement: both sides feel that they were wronged, but determined that a concrete, albeit disappointing, solution far exceeded the uncertain future.